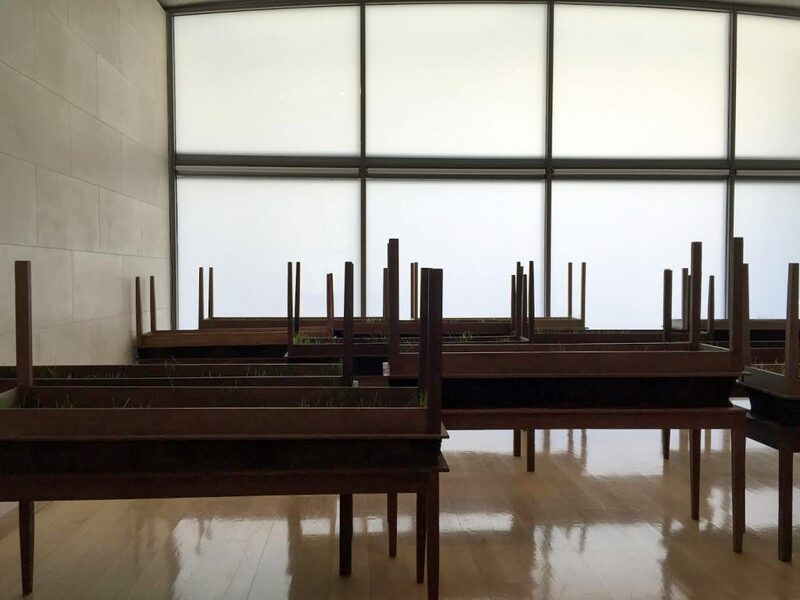 Meticulously crafted, long, narrow, wooden tables topped with earth and another upended table crowd the gallery. Viewers carefully wind their way through the maze-like, sacred space. The intimate proximity to the sculptures prevents distant, passive viewing. 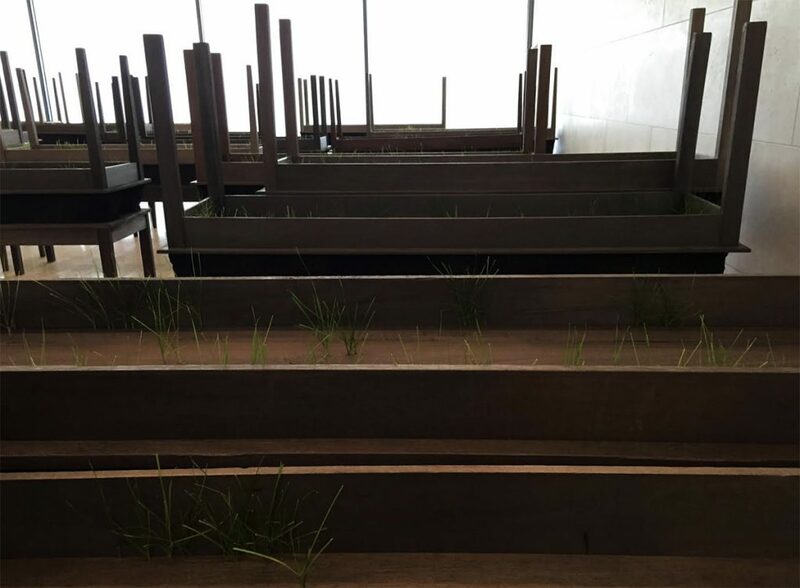 Sparse, straggly shoots of green grass sprout from the tabletops. 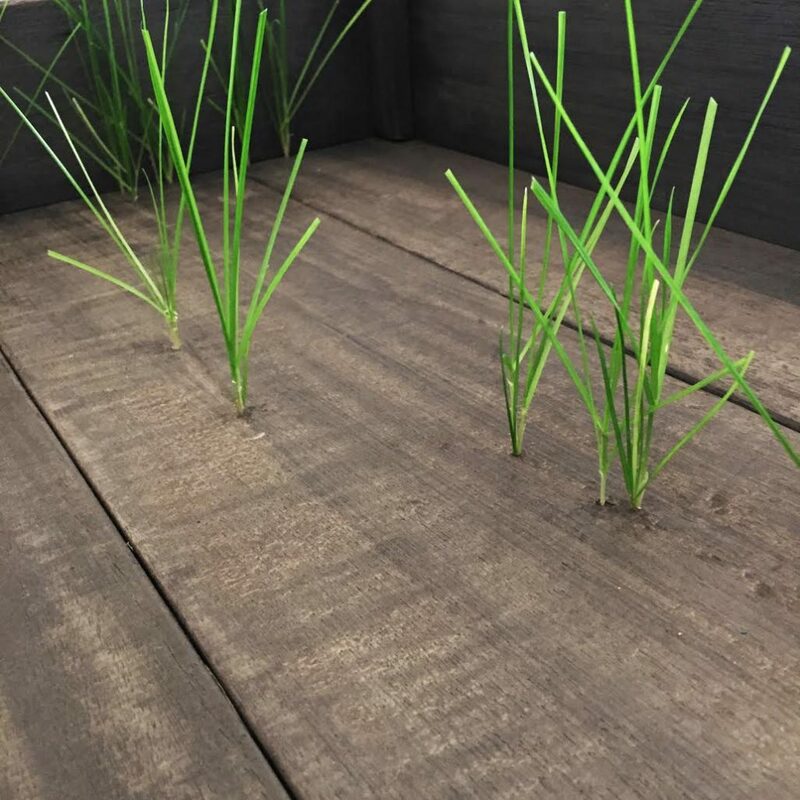 Resembling coffins, the installation references the thousands of youth killed on the streets of L.A., as well as youth murdered by the military in Colombia. Rather than a somber memorial focusing on the dead, the grass symbolizes resilience and perseverance. Plegaria Muda, translated as “silent prayer,” suggests hope and a collective call to witness.